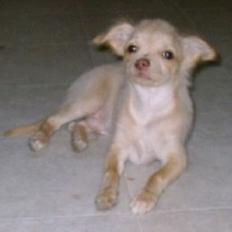 You missed out on this adorable Chihuahua. 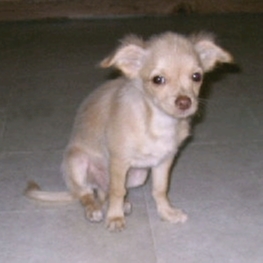 This little Long hair Chihuahua puppy nicknamed "Slider", has a cute little brown nose to match his Cream colored coat. 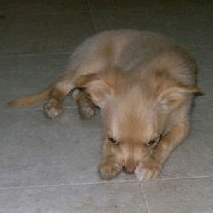 Weighs 5 1/2 lbs and has a long lean body and legs. He will make an awesome companion, he is very loving and likes to be held. His socialization skills are growing even though he is teething and likes feet. He likes playing with his litter mates and his mama. CKC registered and guaranteed healthy. 1st shots and wormed, ready for adoption after June 10th. You may contact me using the above form or by calling me 541-533-2400 ask for Pat and tell me you love "Slider". If you're in the area you're welcome to visit, just give me a call to make sure I'm home.